Autumn is one of many visitors' favorite times in Wine Country, busy enough to have a nice ambiance, but not over-packed. As the temperatures cool, outdoor dining on a heated patio feels especially cozy, and restaurants bring out their new menus featuring seasonal foods. 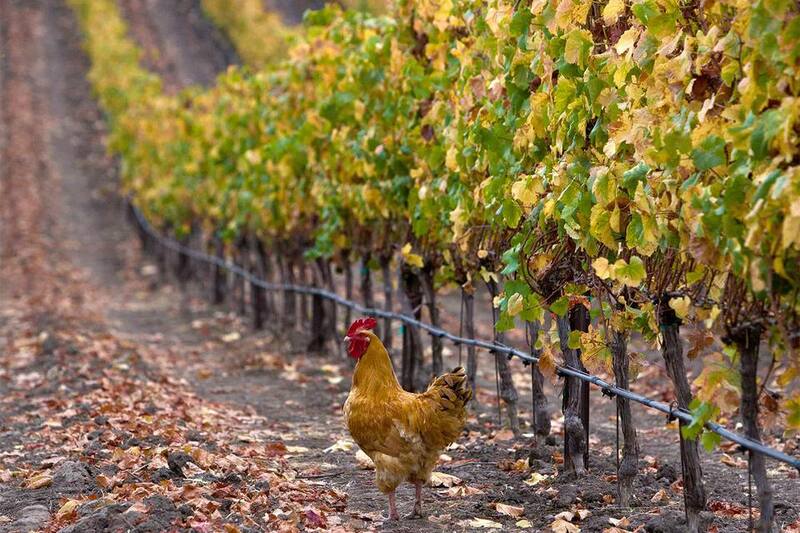 Fall is also a great time to go to Napa for the grape harvest and the fall color in the vineyards. The exact dates of the annual grape harvest vary with weather conditions, but it generally starts between the end of July and end of August and lasts about eight weeks, and that's one of the busiest times of year for winemakers in the region. For this guide, fall in Napa starts after Labor Day (first Monday in September) and runs through early November. Napa weather in fall is mild, but temperatures start to drop, with highs in the mid-80s in September and falling into the high 60s by the end of October. Lows vary less, dropping just a few degrees from the mid-50s. It is also somewhat common to get a few days in September that are well over 90 degrees, so it doesn't quite feel like fall. Any time of year, the temperature patterns in Napa defy conventional wisdom. It's almost always warmer on the north end of the valley in Calistoga than it is in the town of Napa and along Highway 12, which are closer to the San Francisco Bay's cooling breezes. For visiting wineries and driving around, almost any outfit will do. If you plan to take a winery tour, and especially one that takes you out into the vineyards, sturdier shoes (ones you might wear to go hiking) are best. If you want to take wine bottles home with you, TSA rules won't let you carry it onto an airplane. You can check it in your suitcase, but to be safe, take along some plastic bags, tape, and bubble wrap to keep them safe inside your suitcase. Or just let the winery handle the shipping for you. If you need a break from simply hitting one winery after another during your stay, you can participate in some seasonal activities in the area. Schramsberg camping: Schramsberg sparkling winery hosts a three-day camp during harvest time. Participants get to see what it's like to harvest the grapes, taste the juices as they start the process of becoming a sparkling wine, and taste the sparkling wines that result with some great food. Grape stomping: Whether the idea of releasing the grape juices by getting in barefoot and stomping on them is an old-fashioned technique or a Hollywood invention (think Lucy Ricardo), if you like the idea, Grgich Hills Estate winery hosts an annual grape-stomping event. You can even take home a T-shirt decorated with your grape-juice-stained footprints. Schweiger Vineyards also hosts a fall Harvest Stomp, and V. Sattui hosts a Crush Party in late September or early October. Napa Valley Film Festival: this annual festival kicks off in November with lots of exciting films and guest artists to see. Rise early: You may not see as much as you think, especially if you like to sleep late. The actual grape harvest starts near dawn and finishes by breakfast time. After that, most of the action at the wineries centers on getting the grapes crushed and their juice into tanks as fast as possible. It's all-hands-on-deck kind of work, and the tasting rooms may be a bit short-staffed and over-busy. Take an aerial tour: After harvest, things start to quiet down in Wine Country. Relieved of their grapes, the vines start to go dormant, their leaves turning red and gold. In some years, they can be as pretty as all that fall foliage that gets New England so much attention. The aerial gondola that goes up to Sterling Vineyards is a good way to get a view of the valley. Take advantage of prices: After harvest is over, lower demand means lower prices. You may be able to get some great hotel rates then, and it may be easier to get a dinner reservation at that hot new restaurant, too. Know your timing: Even though there's still a lot of sunlight in the fall, don't expect to dash into a winery at sunset. Many of them close at 4:00 or 5:00 p.m.